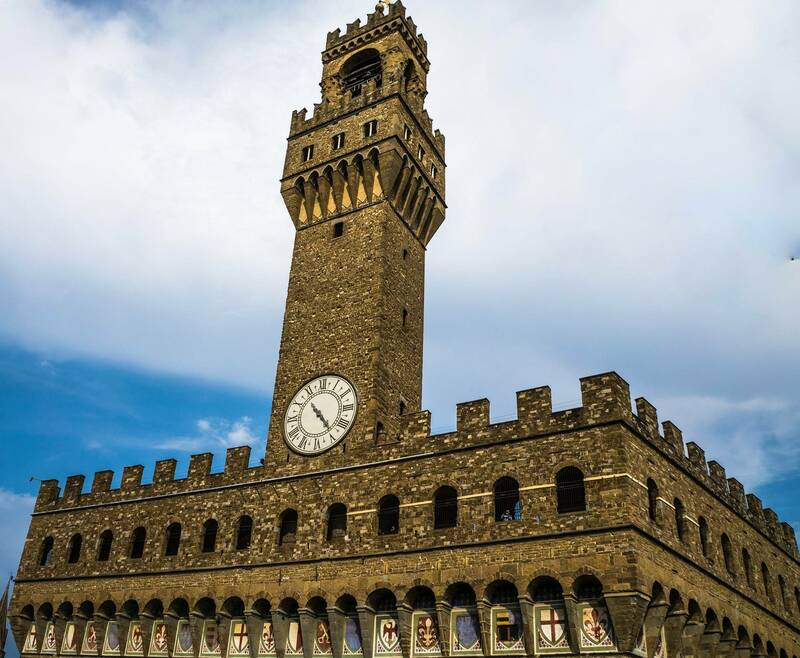 Visit to the Museum of Palazzo Vecchio. 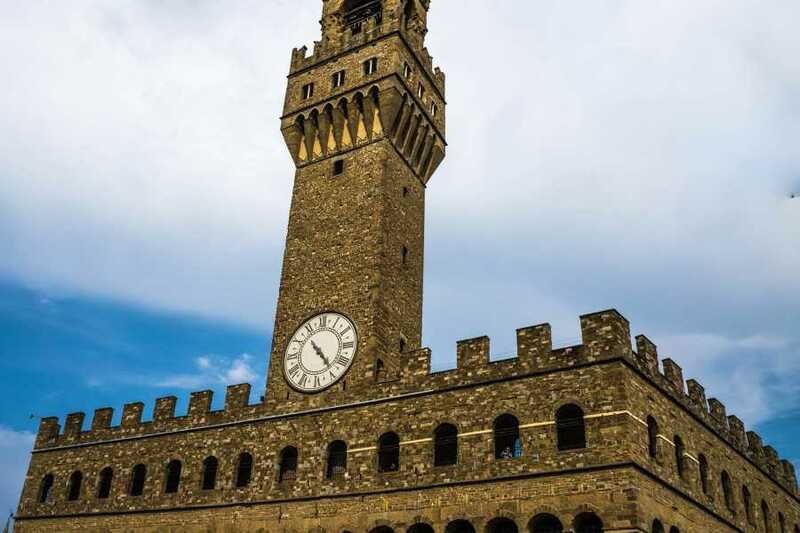 This tour will give you access to some particularly somptuos places and secret passages of Palazzo Vecchio, the old power Palace and the nowadays TownHall of the City. 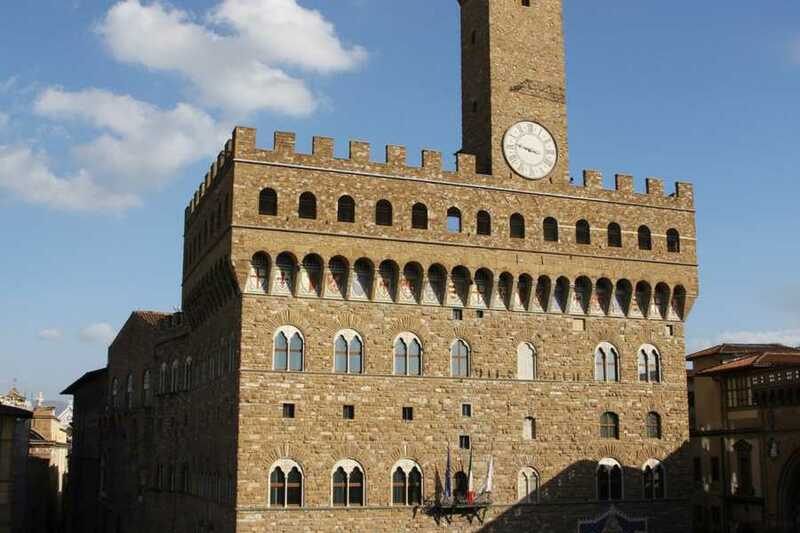 See the famous " Salone dei Cinquecento " and the private rooms where the family Medici used to live. See the stairway built in the thick walls by the will of Gualtieri di Brienee; the Studiolo of Francesco I de’ Medici, a very elegant treasure “of rare and precious things” and the Scrittoio of his father Cosimo I (more known as Tesoretto); then the huge trussed structure that supports the panelled ceiling of the Salone del Cinquecento. 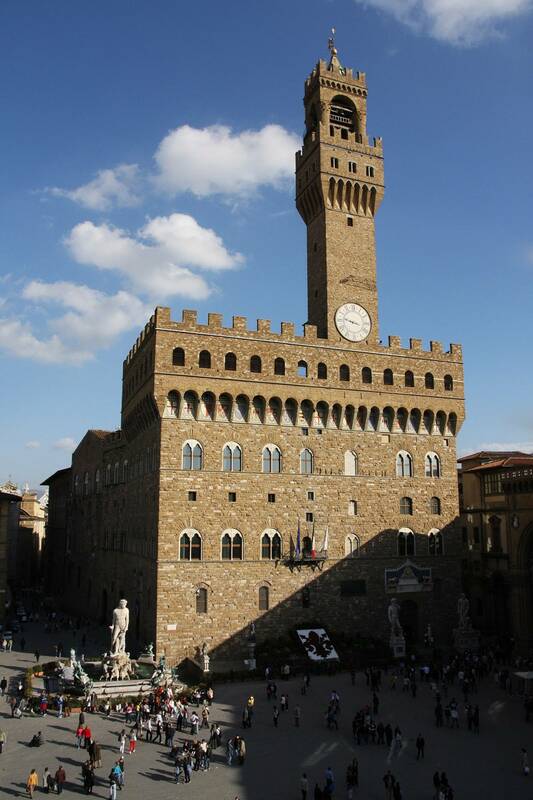 Palazzo Vecchio or pick up from your hotel.